Portrait of Gail Hamilton in Gail Hamilton’s Life in Letters (1901). As a volunteer at the Library Company, Lydia Shaw wrote about Mary Gove Nichols and Nichols’s work as a health reformer for Women’s Equality Day 2017. This year, at the end of her senior year at Friends Select School, Lydia returned to the Library Company as an intern. For her latest project, she examined the life and work of another 19th-century woman writer: Mary Abigail Dodge, who wrote under the pseudonym Gail Hamilton. We post Lydia essay on Dodge to promote Women’s Equality Day (August 26). Mary Abigail Dodge (1833-1896), more widely known by her pen name Gail Hamilton, was a prominent female author of the mid-19th century. Although she lived most of her life in Hamilton, Massachusetts, Dodge spent time in Boston, especially at the home of James and Annie Fields. James Fields, of the firm of Ticknor & Fields, was Dodge’s publisher, and Annie her dear friend. Annie once wrote about Mary during a visit: “She is the same affectionate sparkling lover as ever. It is good to see her.” Many of Mary’s books were published by Ticknor & Fields, and with their encouragement, she agreed to use them as her sole publisher. However, this arrangement did not last. In December 1867, Mary became uneasy about her treatment as an author at Ticknor & Fields. She had read in a periodical that the standard (and even low) share of payment for an author on their book is 10%. After going through records of her payment, Mary realized that she was not always paid 10%—sometimes she was paid 7% or 8%, or at a fixed sum of 15 cents (for books costing $1.50, $2.00, or more). The subsequent feud between Mary Abigail Dodge and Ticknor & Fields would last eighteen months and would end her friendship with both James and Annie Fields. In the book, Dodge told the story of the conflict with her publisher in great detail. Instead of referring to Ticknor & Fields or Fields, Osgood, and Company, she referred to Brummell & Hunt or Hunt, Parry, and Company; ‘Mr. Hunt’ is a very thinly veiled James Fields. According to the ‘unknown writer,’ “Messrs. Brummel & Hunt published on high moral grounds, from love of literature and general benevolence. […] My dealings were with Mr. Hunt, and the business aspect of our connection came to be nearly lost sight of behind the veil of friendship.” Unlike many other authors, who appreciated the friendship that the ‘Hunts’ provided, the ‘unknown writer’ criticizes and condemns it. In their relationship, Dodge trusted James Fields, but in retrospect, she saw that trust and friendship could not always be relied upon. Dodge was extremely hurt by what felt like a betrayal by James Fields, and in a letter to a friend, she wrote, “It is not simply because a personal relation is at an end that I discontinue a business relation. […] I have no indignation towards Mr. [Fields]. There is no Mr. [Fields]. He is evaporated.” Annie Fields, too, was extremely saddened by the ending of their friendship. In her diary, Fields wrote, “I really thought she cared for me! And now to find it was a pretense or a stepping-stone merely is something to shudder over. And all for a little of this world’s poor money! !” Each thought that the other had taken advantage of them through their friendship, and both knew immediately that they would never be friends again. At the end of the feud, ‘Hunt, Parry, & Co.’ are ordered to “award to [the ‘unknown writer’] the sum of twelve hundred and fifty dollars, […] hereafter [she] shall receive ten per cent. copyright on the retail price of all of her books printed by Hunt, Parry, & Co.,” except for the books that were under a different contract. After eighteen months, the ‘unknown writer’ won what she was rightly due. It is unclear whether Dodge herself had the satisfaction of restitution. 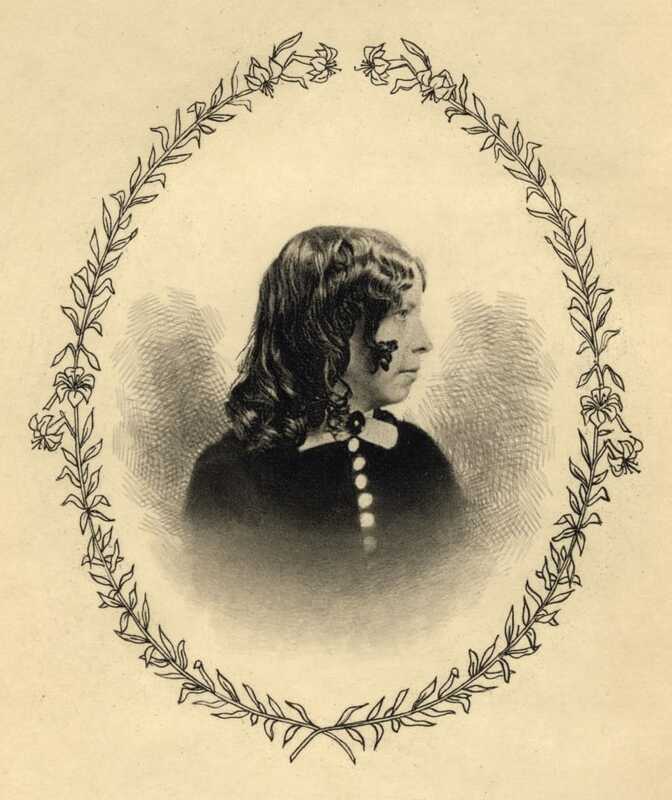 Because of her speaking out, Mary Dodge’s reputation was certainly hurt, especially when word got out that she would publish a book on the matter. Announcements denouncing her credibility appeared in local newspapers. One accused her of being “inordinately vain,” and having “extravagant ideas of the popularity of her books.” Upon hearing her intention to write a book on the ordeal, one person wrote, “[Dodge], you had better not! the public will not believe you.” Whether or not the public believed Dodge, it is impossible to know for certain, but A Battle of the Books went through three editions. It seems that Mary actually did win the favorability of the public—and it was not just a win for her, but for female writers everywhere. Dodge, Augusta H. Gail Hamilton’s Life in Letters. Boston: Lee and Shepard, 1901. Gollin, Rita K. Annie Adams Fields. Amherst and Boston: University of Massachusetts Press, 2002. Hamilton, Gail. A Battle of the Books. New York: Hurd and Houghton, 1870. A Bee Farmer’s Ode to Summer What does it mean to Redraw History?